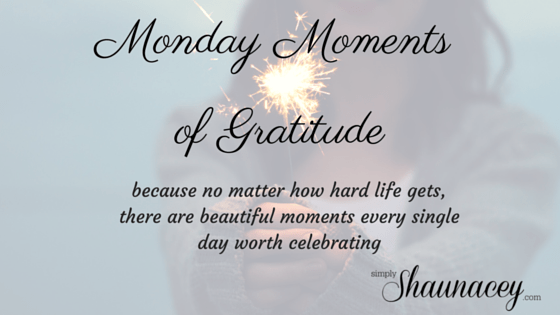 Linking up with Simply Shaunacey for another Monday Moments of Gratitude, a place where we are intentional about being grateful for the little things in life. This week I have so much to be thankful for! This was a packed week with soccer practice starting. I am grateful that I can still drive my daughter to and from practice since she is still 15 years old. In a short four months she will be driving on her own and our times together will greatly decrease with her new-found independence. I’m going to hold on to my “little girl” as long as I can! On Tuesday I found myself with a free day! Usually it is my busy day because I drive my daughter to her co-op, teach a writing class to six homeschooled boys during the day, pick my daughter up from co-op, and tutor in the evening. But this week we were on spring break and my 10th grade student was not available, hence the free day! I did a lot of little errands and housework and got a lot accomplished! 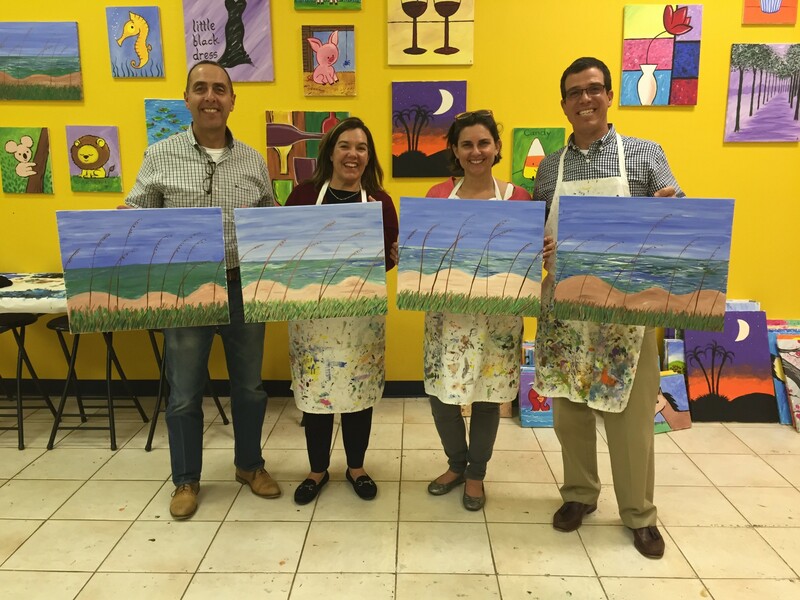 Then in the evening we went out with my sister-in-law and her husband to a painting place (Yes You Canvas!). I had never done that before and we had a lot of fun! We found out this week that they (sister-in-law’s family) will be moving to Miami. We are very sad to see them go since we have lived near one another for the last 16 years and have spent every Halloween at their house. This year it will be so strange to not go to their house! On Wednesday night my mother in law posted a going away dinner for them and it was a very sweet time together. I’m grateful for the years together, the memories and our children growing up together. 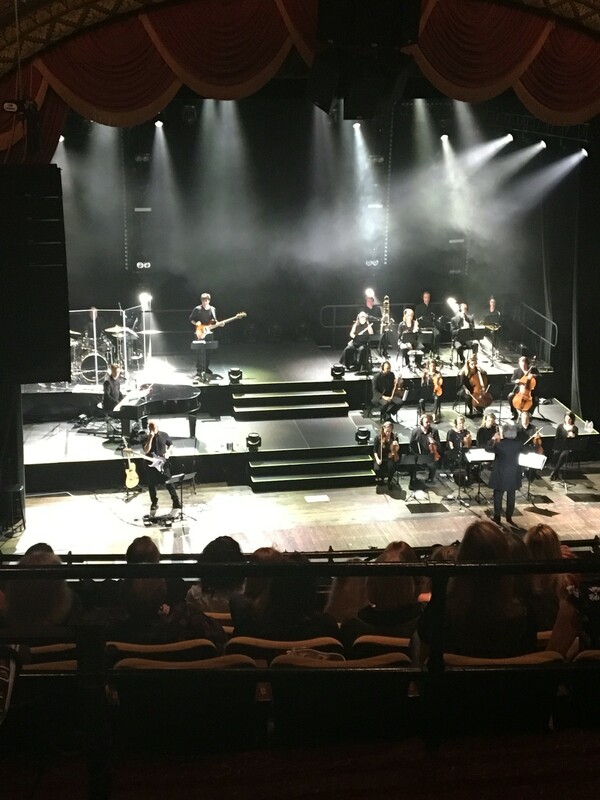 On Thursday mom and I went to an Italian concert called “Il Volo.” When she invited me, I did not know this group of three young men, but I agreed to go because I wanted to spend time with my mom. I was so impressed with these three young voices! They had an orchestra with them and the music was just wonderful. I was surprised that I knew about a half of the songs they sang, considering I have not lived in Italy in more than 30 years! But some are classic songs and there were a few throwback to the 80s so I was able to sing and hum along with most of them. I was so impressed that they spoke and sang in not only Italian, but Spanish and English as well! Below is the song that made them famous at the Sanremo music festival. I’m grateful for a husband who is also my best friend. We had so much fun at Epcot doing our challenge! I am also grateful that he is handy around the house and we got so much done in the front flower bed. More on that Wednesday. We have so much to be grateful for, even when life is hard and we struggle with difficulties. I really love recounting these moments, as simple as they may be. Thanks for reading. What are you grateful for? You can share with me in the comments. I’d love to celebrate with you! So sad that your SIL and her family are moving away, and WAhhhh to kids growing up and becoming more independent! Sigh. Change is hard sometimes but it’s inevitable. The flip is also true; hard times don’t last forever so we shouldn’t lose hope! One thing is certain: nothing is certain! Lol! I love counting blessings! Sounds like you had some nice ones lately. That makes me happy! I may try to link up later this evening. I’m grateful for YOU, just so you know! Thanks, I have had some good ones! It’s good to focus on the positive and not let the negative get you down! I’d love to read yours! And I’m grateful for friends like YOU too! Grazie mammina! Anche io TVB! Tanto tanto! Love how happily in love you and the hubs are in your photo from Epcot. Good on you to complete one thing on your romantic bucket list for the year. I think your dates with your mama are enviable. Lunch or a concert, family dinners. I would like that so much. Always feel so hurried to try to do things when we are together for such a short time a couple of times a year, that I never just get to enjoy being with my mom. Too much rushing. Better get crackin’ on the list! Where does your mama live Leslie? My goodness! Please tell me I won’t blink and have my 1 1/2 year old be a few short months away from driving! Thanks for stopping by my blog! MOndays are so busy that I always say I’m going to visit more people on the link up, but by the time I get to sit down in the evening, I’ve completely forgotten that I’d made the promise to myself THAT morning! I’m glad I got the chance to stop by yours! What a fun week! 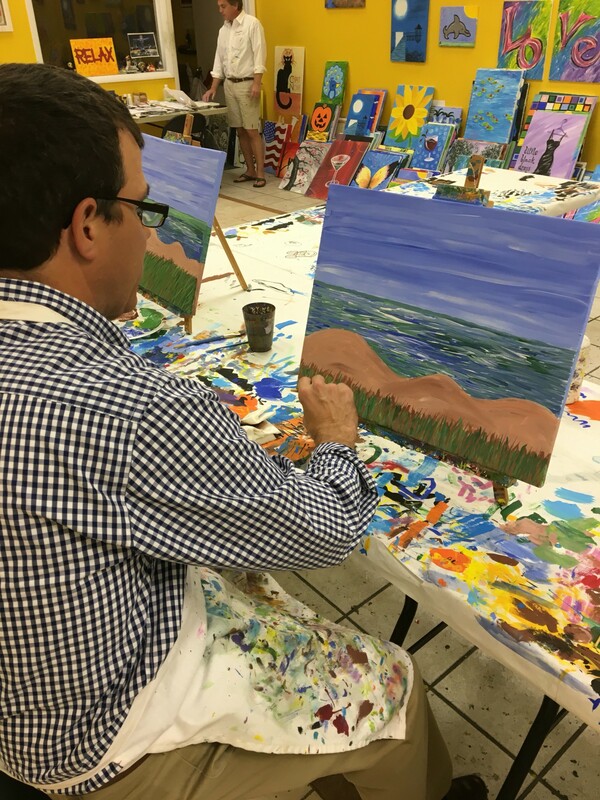 I did a painting class with my sister a few years ago, and it was so much fun. 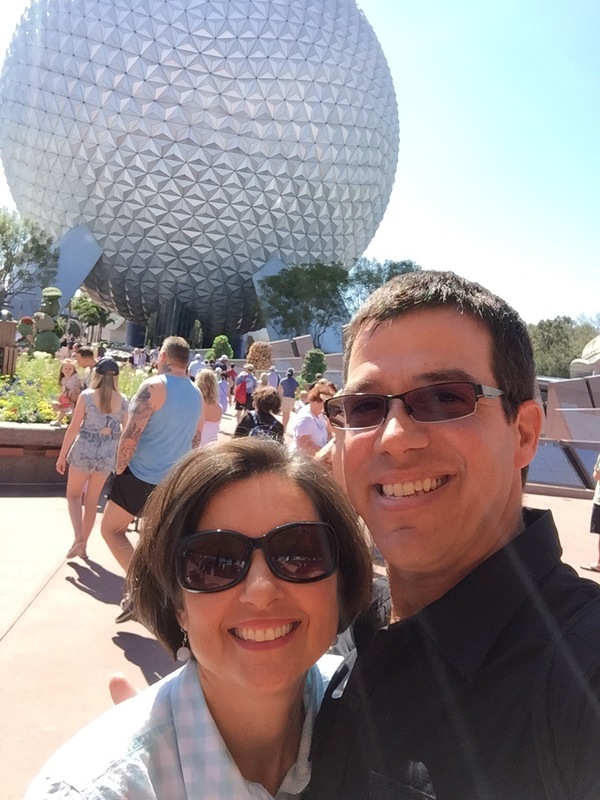 I loved reading about your drinking tour of Epcot – one of my favorite places! 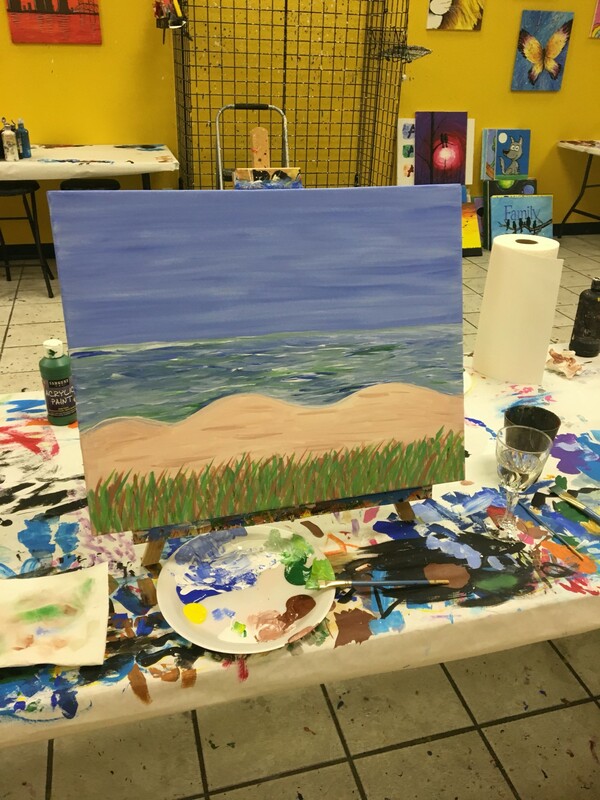 I seriously had my doubts as I am not artistic AT ALL! So I was pleasantly surprised at how it turned out! Yes indeed! Love when that happens! those pantings turned out AMAZING!!! Seriously, your week sounds like so much fun!!! You and your husband look so genuinely happy to be around each other! I can’t believe that mine actually looks like what it’s supposed to look like. I am not kidding when I say I can’t even draw stick figures. There were quite a few paintings that I wouldn’t care to do but this one was actually nice and fits with our home’s theme. They’ll be going in my bedroom. haha!! I so remember those last years of driving my kids around and knowing soon enough I’d miss out on those short moments in the car to mentor. My 3rd will be driving in a short 2 years so I’m soaking it up too. Yes, those car rides are great for chats! It IS hard to imagine ever being out of whatever stage you’re in. When they are babies it feels like they will never walk. When they are toddlers, they’ll never be potty trained. And when they are grown they’ll never make the better choice! But all those stages pass, thankfully! And each stage has its own special moments that make it great too! Enjoy your cuddles with your littles!